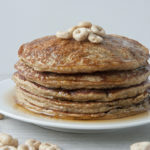 Lightly sweet and super fluffy, these Honey Nut Cheerio pancakes are a treat for breakfast the whole family will love. Who knew Honey Nut Cheerios are so versatile? 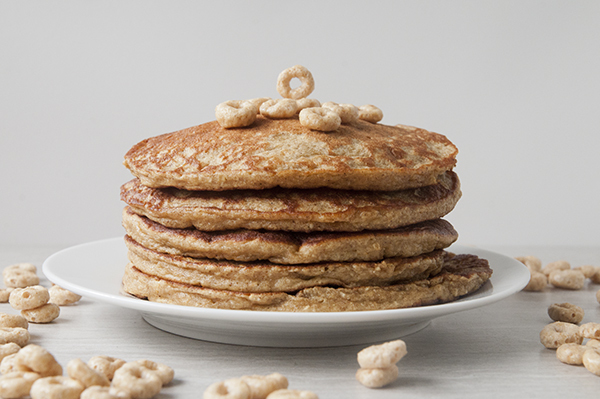 They are not only total toddler crack, but they make incredibly delish Honey Nut Cheerio pancakes. How did we come to this stunning realization? Well, once every weekend we have some form of pancake or waffle. It’s practically tradition. I’m really big on tradition. Plus my toddler loves pancakes and waffles and they freeze really well. Well, one weekend we were presented a problem: hangry toddler (and mommy), only two eggs, and not enough traditional ingredients to make pancakes or waffles. So my husband, being ever the resourceful fellow that he is, scrounged through our pantry and came out with one of our household staples: Honey Nut Cheerios. We always have some variety of Cheerios (and Goldfish crackers). See Cheerios are pretty much toddler currency. And normally, since Goose likes to feed the adults in the household nearly as much as she loves to feed the dogs, we buy Honey Nut Cheerios because my husband and I prefer them. I know, I know. They aren’t as healthy as regular Cheerios. Honestly though, I’m not that concerned given that this kid scarfs down chickpeas and quinoa like a champ. And really, if a sticky little hand is going to shove mushy Cheerios in my mouth, I’d rather have the kind I like. Nah. Just a mom with limits. And I can’t do mushy plain Cheerios. It’s a hard no. Moving on. 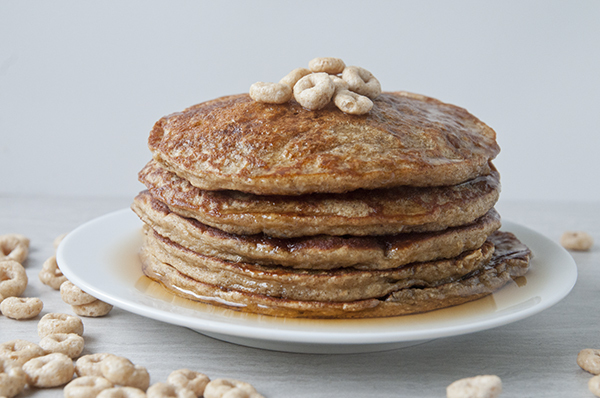 The ever resourceful guy I married threw some of these Honey Nut Cheerios in the food processor with some oats and whipped up the most fluffy and delicious pancakes (and gluten free if you use gluten free oats!) I have ever had. I have to give him all the credit on these delicious Honey Nut Cheerio pancakes. I knew I married him for a reason. 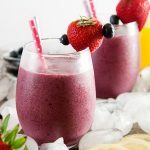 Looking for other breakfast ideas? Check out our oven baked apple pancake and these gluten free chocolate waffles. Grease a griddle with butter or spray nonstick spray. Heat over medium heat. Pour Cheerios, oats, baking soda, baking powder, salt, and cinnamon into a food processor and pulse until the Cheerios and oats are a powder. In a separate bowl, whisk together the milk, eggs, and honey. Gently add the dry ingredients to the wet ingredients and mix until just combined. Ladle out 1/8-1/4 cup of batter onto the griddle to create a pancake. Cook 3 minutes or until little bubbles form in the center and then flip and cook an additional 2-3 minutes. These look amazing! I love a good pancake! Definitely going to try these. Thanks Carrie! Hope you enjoy them! What a great idea. Love this! Thanks for the recipe. That honey nut cheerios pancakes look amazing. I love a good pancake. Going to try making it tomorrow for breakfast. Thanks. Lol! I’ll have him look into that 😉 Thanks for stopping by! What a fun idea! I bet the cheerios taste really good with a little heat to them because they are so nutty already! Great idea on making them into pancakes! Thanks. Yeah, they are really yummy like this! It’s surprising how well this turned out. Hope you and your boyfriend like them! 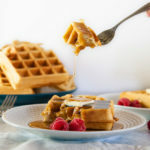 Oh yum, such a wonderful breakfast recipe! 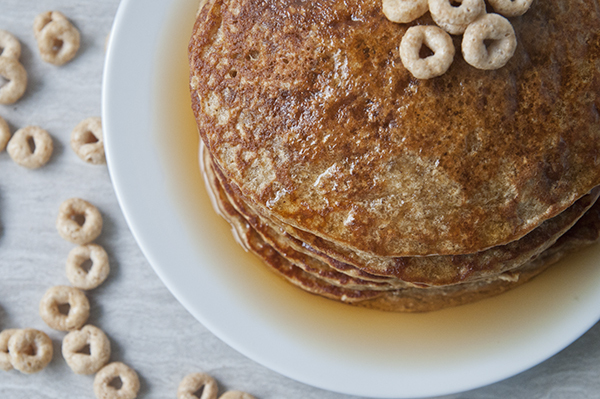 Thank you for sharing… we love cheerios and pancakes! I can’t wait to try it! I hope you get to give them a go and that you like them! Sometimes the best things are born out of resourcefulness. Never would have thought to use Honey Nut Cheerios as a base for pancakes. I’m pretty sure we would have used almost anything to make pancakes out of that day. Thankfully we ALWAYS have some form of Cheerio. A Fruit Loop pancake probably would be weird. Hope you get to try it sometime! We’re Honey Nut Cheerio junkies too. Just shared this as my breakfast recipe on my FB page: Heaven is Smiling Above. I tried to tag you but it wouldn’t let me. Thanks for an awesome recipe! Thanks for sharing! I hope you get to try this sometime! Let me know what you think if you do. I am so making these! 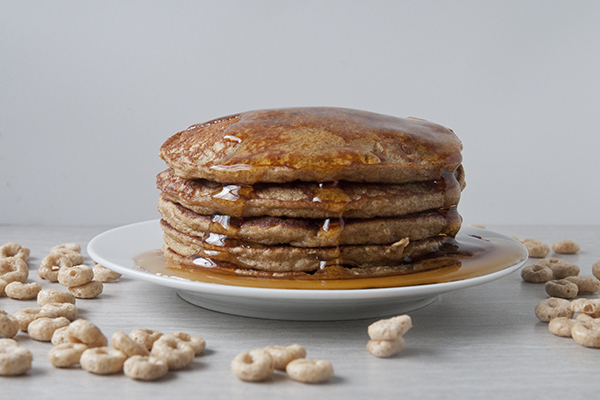 I love honey nut cheerios and pancakes so together they have to be amazing! Thanks for sharing! So amazing! Thanks for stopping by! How creative! This is a fantastic use of cheerios for sure!! I would have never thought of this in a million years! I’ve got a box in the cupboard, I’m going to have to give this a try! Thanks for sharing. Hope you like them when you try them! I could have sworn I accidentally invented something like this before haha!! My kids would eat that up! OMG total kid crack! My daughter LOVES these. I have to make this!!! 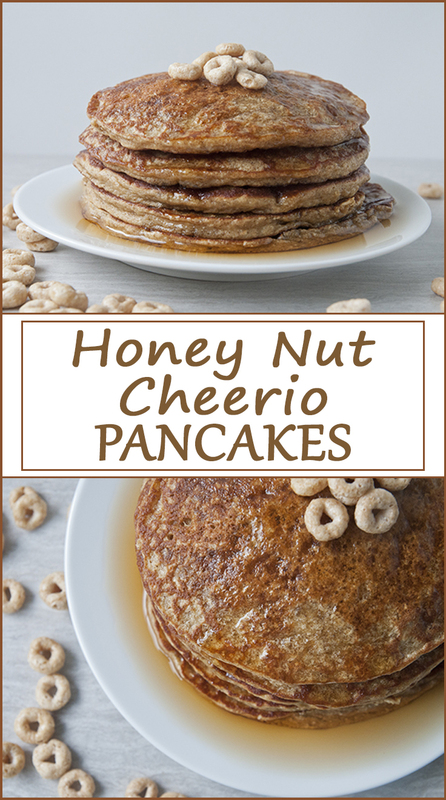 My kids love honey nut cheerios and pancakes and would love this recipe! Yep! 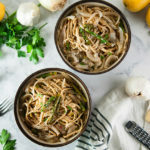 My daughter is crazy over this recipe! Hope your kiddos like it as much! Wow, what a great idea! I bet these taste great! So great! Hope you try them sometime! Omg these look amazing. Perfect pancakes! Thanks! Hope you get to try them sometime! Interesting use of cereal in pancakes, will try it out. Sounds odd but tastes great! Not heavy at all! It looks gorgeous and delicious! I love pancakes too.. will try it when I have my nephew over! Hope you and your nephew enjoy them! This is so crafty! My kids would totally love it! Kids love this~ at least mine does! now there is a new one! I am a honey nut cheerios fan, it is one of my favorite cereals, but I never thought I could use them in something else than a bowl with milk – great idea, thank you! It’s delicious! I hope you get to try it sometime. Easily as good as a bowl of them with milk! Yummy! The kids will definitely love this! These sound amazing! I always have Cheerios in the cabinet!!! Sounds like you need to make these! The kids would mob me at Breakfast. Honey Nut Cheerio Pancakes. The perfect culinary bribe! I’m not to the bribery stage quite yet, but yes I fully intend to keep this one in my back pocket for when the time comes. Yummy! My kids love honey nut cheerios, they would go nuts over this! Hope you get a chance to make this for them! So clever – and they look SO good! This gives me all sorts of other ideas of what I could make pancakes with — chocolate or apple cinnamon cheerios come to mind! Yum! 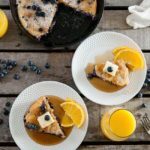 I always drizzle honey on my pancakes in the morning, so this would be a nice way to switch it up. Thanks for sharing! Yum! We love pancakes in our house. I will have to try these with our apple cheerios too! A great way to use Cheerios! I never thought to do this flavor of pancakes! It is genius! I am going to make this soon! My kids are huge cheerio fans so I bet they would love these. We will definately have to test them out. Mmm one of my fave cereals in pancakes form?! Sounds and looks perfect! that is kind of like reinventing childhood! I don’t eat enough pancakes. You have inspired me to make a stack. These look so yummy! We love Honey Nut Cheerios! These would be a hit in our home!! Oh my gosh. These look amazing!! I love Honey Nut Cheerios so I know I would enjoy this. Can’t wait to make it this weekend. Well isn’t that smart? Those look so good, too. We love pancakes and Cheerios here. I can just imagine how wonderful these taste. I’m going to have to try them out now! So light and sweet. So yummy! Your husband is a genius!! These look so good! We love honey nut cheerios in this house so these are right up our alley! They sound and look delicious, too!